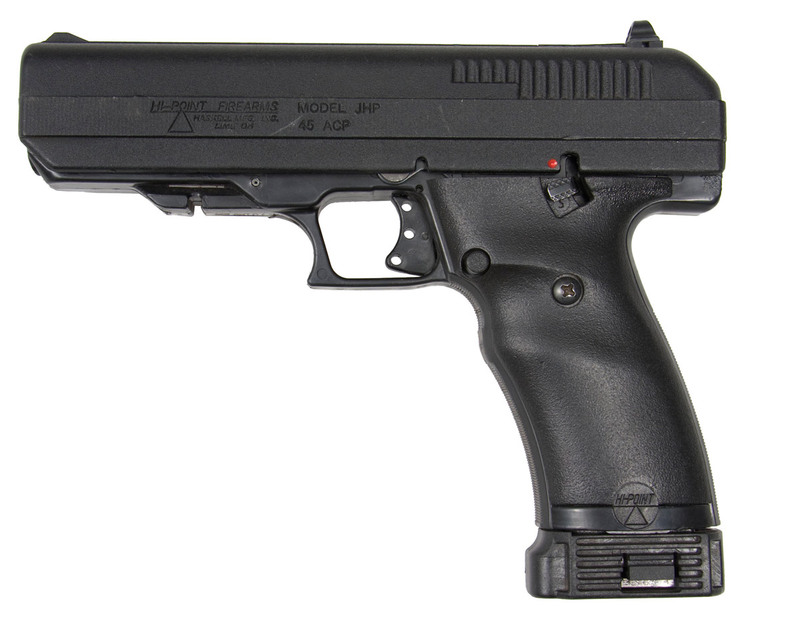 The ever-popular Hi-Point carbine is +P rated and accepts all factory ammunition. It features a polymer skeletonized stock, Weaver style rails, fully adjustable sights, last round lock open, a grip mounted magazine release and is 100 percent American made. This edition comes complete with a forward grip, and includes 2 Redball 20-round magazines along with the standard factory 10 round magazine. If you plan to shoot your carbine a lot, this is the model to choose. I read a review on this weapon. Hi-Point has a bad reputation. They're rather ugly and some say that they are trash. However, a reviewer put a full mag into a target at 250 yards. Not too bad in my book. And, three mags come standard with the rifle. I don't own one yet, but it's probably in my future. It retails for around 300 dollars and with mags totaling 50 rounds, it looks very good. I do own a Hi-Point .45 ACP. It's heavy, but puts rounds right where I want them at 100 yards. I'll put these up for discussion. I'm saving up for one of these! I remember when an AK-47 could be purchased for $300. Not anymore. Everyone has their wish list, I hope this is in the Christmas package this year. I have my idea for whom I will place it. I remember those days, too. AK variants are still available, but not for $300. Entry level Mforgeries from D.S.A. are available from Bud's for $671.00. Marlin lever guns from the high $400s to the low $600s. Even the Ruger P.C.C.s that take Glock mags are more viable than the Hi-Points. I've heard good stuff about the Ruger 9mm carbine. Too bad they don't make a .45ACP version of it. There was the Marlin Camp Carbine in both calibers, but it's been out of production for years. Are PSA ARs good to go? I have a 10.5-in. upper made by them and it seems to run well. Total cost of the 'pistol' in question was $340 (270 for the upper and kit, 70 for a stripped lower). I have a Hi-Point C9: fucker is a BRICK; ridiculous for pocket carry. I bought it because it was the cheapest new handgun out there, and 'Murcan made. I had a .22 semi-auto rifle & a single-shot 12-gauge stolen. I'd like to have a concealable Sig or HK pistol, a good, cheap shotgun like a Mossberg, probably a pump, and a decent rifle, maybe an AK of some sort: just enough to have the various distances/possible scenarios covered. Hey its MortyShekelbaum here, I forgot my password and lost access to my email I used to register lol. I remember when SKS or even Moisin was 150$! I just picked up a yugo m24/47 and a yugo m59/66a1, both for about $250~. The 7.92 ammo is far too expensive so it is definitely being saved! Those 9mm you guys are showing are not bad!! ray allan, I am impressed with my Yugoslavian rifles, but unfortunately have heard something about the barrels not being chromed with the sks. I read you loud and clear about ammo price. Some of the heavier loads for my .300 Win Mag cost around $30-40 for twenty rounds. I have a good amount of ammo for the rifle I own but I also have .22 lr and .22 magnum firearms that are better for just popping off a few hundred rounds for fun. So far 9mm ammo is very cheap and available and I've stocked up on it as well as rounds for my other firearms, ranging from the previously mentioned .22 rounds to the .308, .38, .357 mag, .40 cal, and .45 acp, among other ammo types. I also have some ammo for firearms I don't own for trading in a bad scenario, and only for Whites. Page generated in 0.09180 seconds.